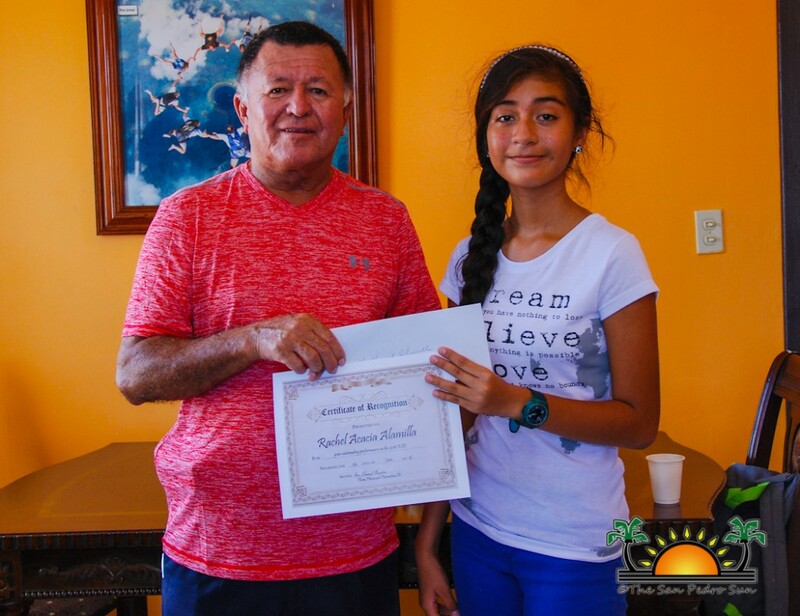 On Friday, June 24th, Minister of Tourism and Civil Aviation and Area Representative of Belize Rural South, Manuel Heredia Jr. acknowledged three students for their outstanding academic achievements. 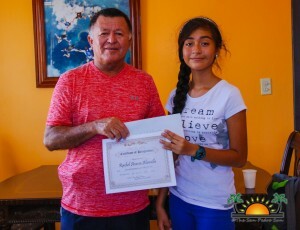 Minister Heredia hosted a small ceremony at the Belize Tourism Board, San Pedro Branch to honor Rachel Alamilla of San Pedro Roman Catholic School, Rafael Marin of Caye Caulker Roman Catholic School, and Rowan Garel. Both Alamilla and Marin were the top scorers in the Primary School Examination (PSE), while Garel is a visually impaired youth challenging the stigma of his disability. 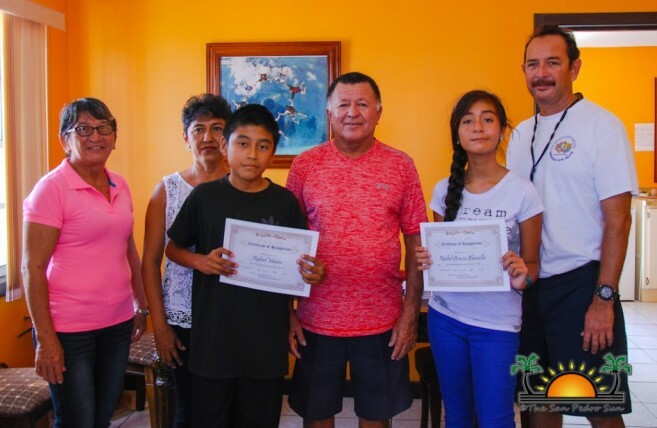 Minister Heredia presented Alamilla and Rafael with certificates, along with a $500 check to assist them in their high school expenses. 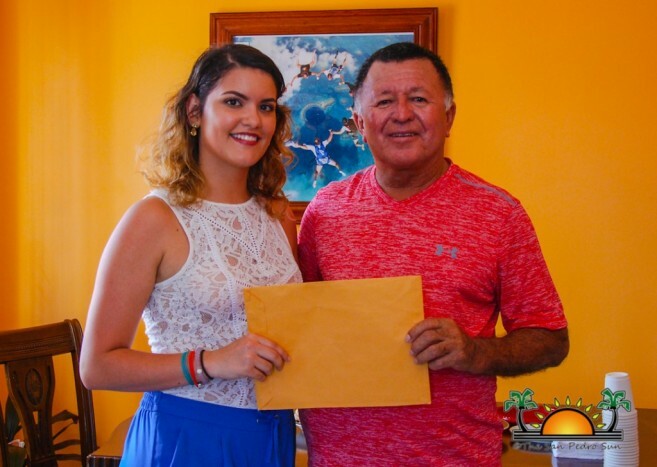 As for Garel, Heredia awarded him with a $10,000 scholarship to further his education at Drew University in the United States. Receiving the grant was his sister Aesha, as Garel is presently in New Jersey, USA with his mother, Milagro, to get familiarized with the campus of his new school. Garel is the first blind person to dive the Blue Hole and climb Victoria Peak as well. He also walked 90 miles to raise funds for the Belize Council for the Visually Impaired. Despite being visually impaired, his vision of his future is bright through his efforts and determination. Minister Heredia shared encouraging words with those present, urging them to keep up their good work. “The more we educate our youth, the better society we will be. We want to make sure these students are awarded for their academic achievements,” said Heredia. 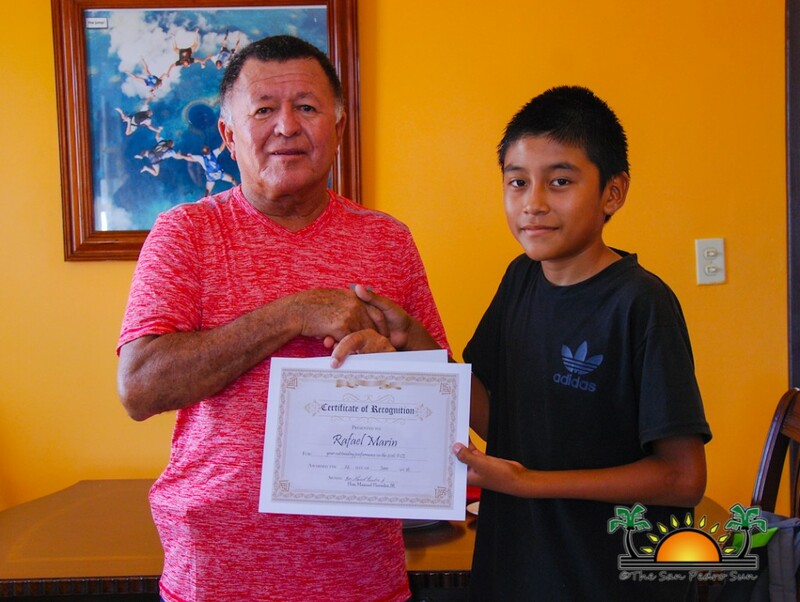 Alamilla who scored 94.3 will be attending San Pedro High School, while Marin, who scored 79.9 will to go to Ocean Academy, Caye Caulker. Kudos to all students for their academic accomplishments!